Today's the day, Pie Fest 2015! 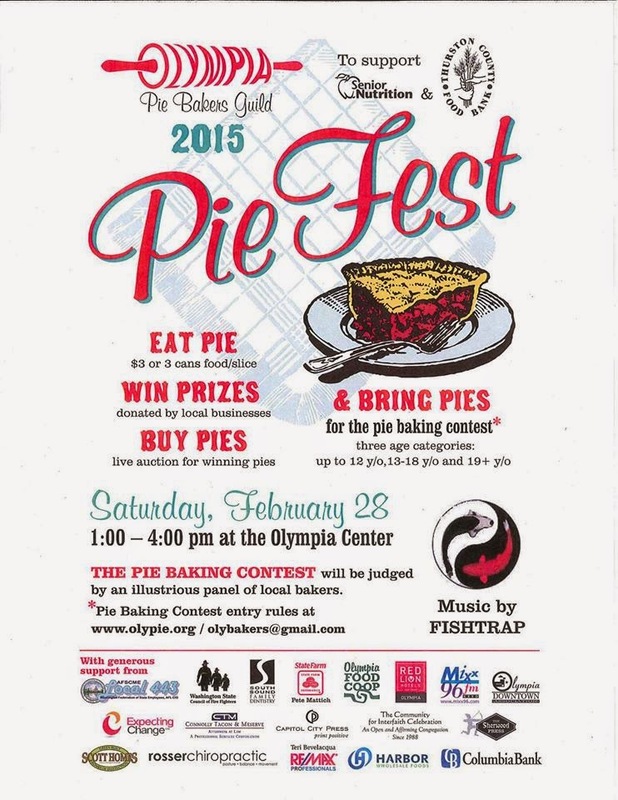 If you are entering the Pie Fest 2015 Pie Baking Contest please bring your entries to the Olympia Community Center, 222 Columbia St. NW between 10 am and 11:30 am. Please join us at 1pm for pie, raffles, music by Fishtrap and a whole lot of fun in support of the Thurston County Food Bank and Senior Nutrition Program.